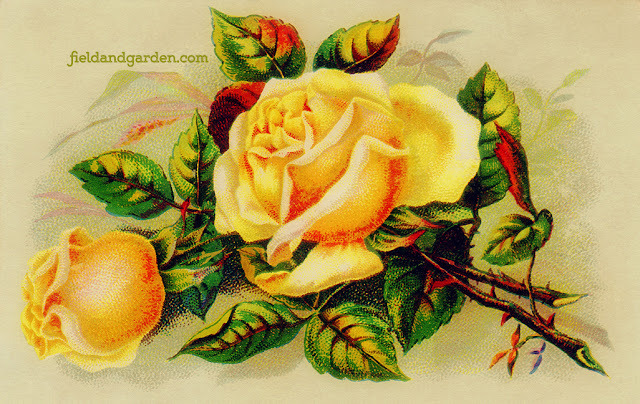 A branch of yellow Victorian tea roses from an 1880s trade card. To download the high-res 3" x 4.75" @ 300 ppi JPEG without a watermark, please click here. Great as a gift tag or card for sending to friends and loved one but can also be used in scrapbooking as well as other graphic design projects.